A self immolation in Tunisia in December 2010 which gave birth to protest against the Ben Ali regime and eventually led to its downfall before crossing borders into other countries in North Africa and the Middle East has immensely contributed to an estimated loss of $614 billion of growth together with the falling oil prices according to United Nations Economic and Social Commission for Western Asia (ESCWA). 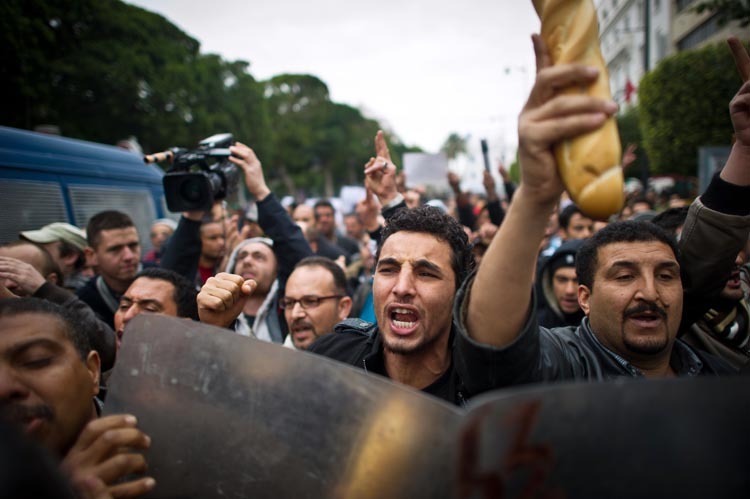 The protests generally classified as the Arab Spring have led to regime change, continuing conflict in several countries and presence of different political authorities within a country governing territories independently. The report pointed out that “the economic and political uncertainty that has characterized the Arab region in the wake of the 2011 transitions and upheaval continues to restrain the region’s prospects for growth, job creation and stability.” The estimated loss calculated based on growth projections before the 2011 demonstrations account for 6% of the GDP of the region between 2011 and 2015. 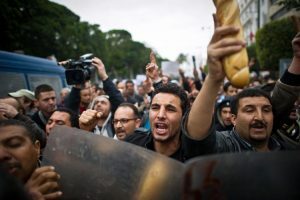 Unlike countries like Libya, Syria and Yemen, some countries have been able to surpass the violence but are struggling with economic challenges like the cases of Tunisia and Egypt while Bahrain has been able to suppress mass demonstrations but continues to face protests for profound constitutional and political reforms. Syria accounts for 42% of the estimated growth setback with combined GDP and capital losses of $259 billion since 2011. Countries that were less affected by the Arab Spring suffered from the low oil prices but Mohamed el Moctar O Mohamed el Hacene, ESCWA’s Economic Development director, said “economic reforms leading to real diversification” should be introduced. Most of the Gulf countries are caught in such circumstances. Some of the stable countries had their economies affected by the indirect effects of war such as refugee influx and safety concerns with regards to tourism; which has put pressure on their limited resources. The report noted some positive signs such as progress on social indicators such as gender equality but urged for financial support to the region to help it “recover” after the conflict because there have not been much in this regard when compared to the conflict periods that Latin America, Eastern Europe and the Balkans have experienced. Written by: Peter Mulvany on November 11, 2016. Posted by Peter Mulvany on Nov 11 2016. Filed under Gulf News, Headlines. You can follow any responses to this entry through the RSS 2.0. Both comments and pings are currently closed.